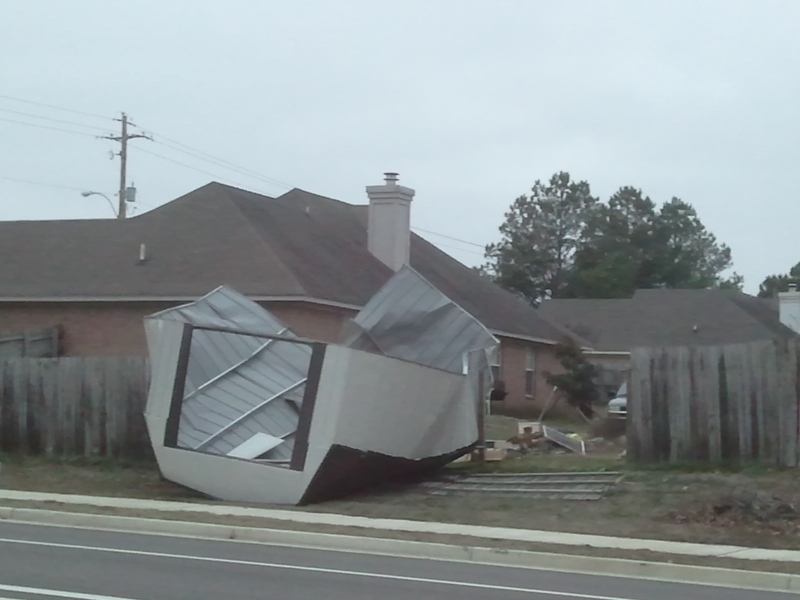 The following survey notes were taken by the National Weather Service following a damage survey from the storms that occurred Thursday evening, February 24, 2011. 85 TO 95 MPH. SHINGLE DAMAGE WAS ALSO NOTED ACROSS BARTLETT. 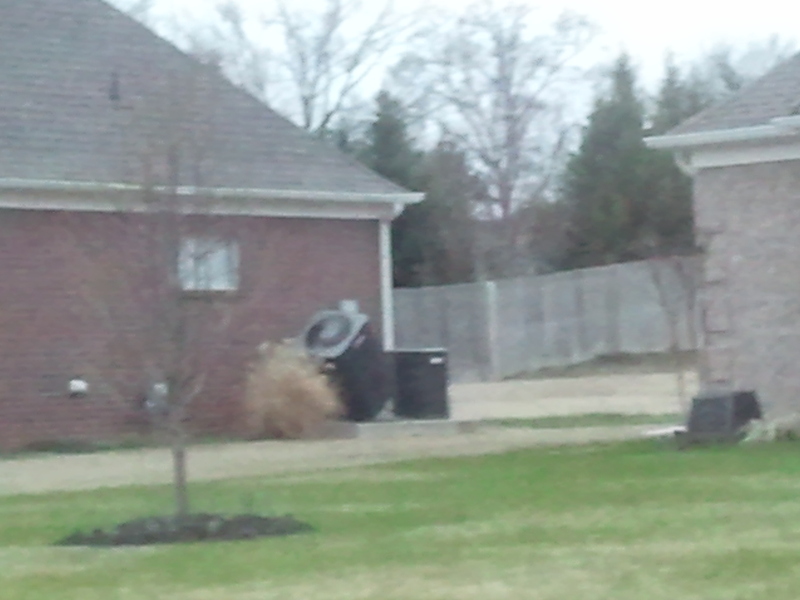 NOTED IN THE DAMAGE ALONG THIS STORM PATH. 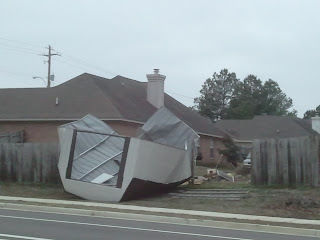 The following damage pictures were taken by MemphisWeather.net near the intersection of Kirby-Whitten and Old Brownsville Roads in north Bartlett. Click each for larger images. 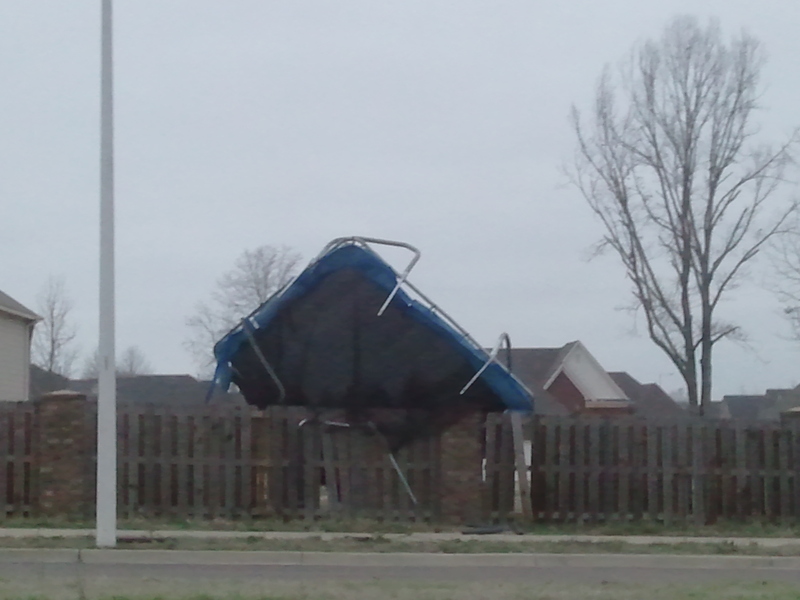 That trampoline was across the street totally behind that house. So it went REALLY far!! I just wonder know when they are going to get it down!